cool night mode!!! mini and fun!!! 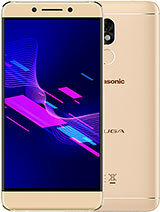 This is indeed a very cute and user-friendly mobile.Its clear image quality is praise-worthy.The only thing troubles me is that i have to charge it frequently.My handset requires atleast 2 full charges to run three days.I donot know whether it is my own problem,it would be great if I get feed-back on it. Finally! Now it's mine! 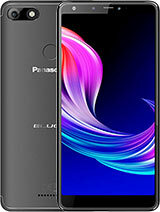 The most sensational small mobile I ever had, stylish and elegant! All the others had said enough, so I don't think there is something to add. Just ask me prvt. what you wanna know about. i have been using it for 4 months now,sorry but i dont have ur problem for the background noise...but my only problem is i did everything it says to activate the gprs but i cant?wonder why? I read somewhere it has 4MB memory, that's ok.. I got one and been using for 2 months. Everthing is Ok except the feedback is very serious if in a noise background. Anyone has the same problem or just mine? I’ve been waiting for a while ‘till get a new mobile, read a lot of docs. & specs from different manufacturers, forums and reviews… Just the other days went to CONNEX and saw it with my own eyes, touched even played with it. Simply because they haven’t got any dummy, they had to give me a real one. 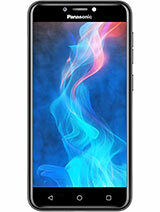 I was surprised by the clear display, Samsung – alike, and you know what? The keyboard is great by the way. And it’s only 84USD – for loyal clients :) Really worth it if you want a camera phone with GPRS capabilities. Elegant, stylish, surely not for teenagers! how second it can voice record??? I had a siemens A50 before..so an SC3 would be quite an improvement... but what is the memory size? does it have an mp3 player and speacker? please reply..anyone? 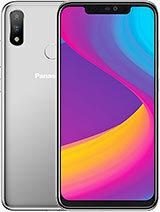 is this phone cool looking for u guys/im thinking to buy it but im afraid it looks like a girls phone.....someone tell me plz.....does it have caller id? 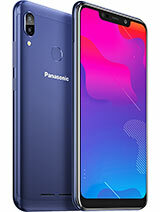 excellent phone.Small,light and slim and is out now in Malaysia.I just bought at at RM499.Reasonable price for a middle range phone.The features are great too,Build in speaker phone.Really love this phone.Looks like panasonic really understand what user needs. do tis phone hav mp3 player?if any1 noe pls e-mail me.Thanks! 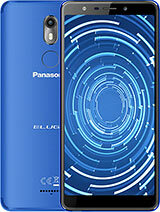 Total of 87 user reviews and opinions for Panasonic SC3.